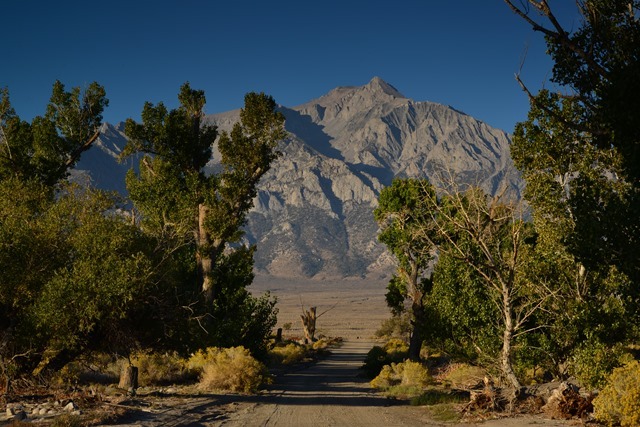 Inyo County, the second largest county in California, is ready to jumpstart the process of delivering a true broad band infrastructure to business and residences within the Owens Valley. The plan, called the 21st Century Obsidian Project, envisions delivering a fiber infrastructure to all residents of Inyo County and other surrounding areas along the Eastern Sierras and parts of Death Valley. Many cities are finding ways to bypass the nonsense surrounding discussion on “Net Neutrality.” Rather than worry about what Comcast, AT&T, Verizon, or other carriers and ISPs feuding over the rights and responsibilities of delivering Internet content to the premise, many governments understand the need for high speed broadband as a critical economic, social, and academic tool, and are developing alternatives to traditional carriers. Whether it is the Inyo County project, Burbank One (a product of Burbank Water and Power), Glendale Fiber Optic Solutions (Glendale Water and Power), Pasadena’s City Fiber Services, or Los Angeles Department of Water and Power’s (LADWP) Fiber Optic Enterprise, the fiber utility is becoming available in spite of carrier reluctance to develop fiber infrastructure. Much of the infrastructure is being built to support intelligent grids (power metering and control), and city schools or emergency services – with the awareness fiber optics are fiber optics, and the incremental cost of adding additional fiber cores to each distribution route is low. So why not build it out for the citizens and businesses? The important aspect of municipal or city infrastructure development is the acknowledgement this is a utility. While some government agencies will provide “lit” services, in general the product is “dark” fiber, available for lease or use by commercial service providers. Many city networks are interconnected (such as in Los Angeles County utility fiber from Glendale, Burbank, and LADWP), as well as having a presence at major network interconnection points. This allows fiber networks to carry signal to locations such as One Wilshire’s meet-me-room, with additional access to major Internet Exchange Points and direct interconnections allowing further bypass and peering to other national and global service providers. In the case of Inyo County, planners fully understand they do not have the expertise necessary to become a telecommunications carrier, and plan to outsource maintenance and some operations of the 21st century Obsidian Project to a third party commercial operator – of course within the guidelines established by the RFP. The intent is to make it easy and cost effective for all businesses, public facilities, schools, and residences to take advantage and exploit broadband infrastructure. However the fiber will be considered a utility, with no prejudice or limitations given to commercial service providers desiring to take advantage of the infrastructure and deliver services to the county. We hope more communities will look at innovative visions such as being published by Inyo County, and consider investing in fiber optics as a utility, diluting the potential impact of carrier sanctions against both internet access, content, or applications (including cloud computing Software as a Service <SaaS> subscriptions. e.g., MS 365, Adobe Creative Cloud, Google Apps, etc.).. Congratulations to Inyo County for your vision, and best of luck.